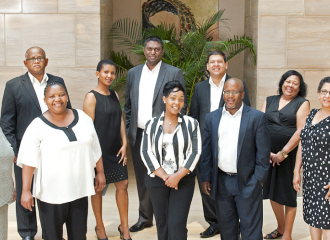 Gradidge-Mahura Investments was founded in 2008 by Craig Gradidge and Kagisho Mahura. Our highly qualified and experienced independent financial advisors are readily available to secure the financial future of our clients and their families. Through our comprehensive risk analysis process we protect our clients from unforeseen events that can ruin their financial security. We have a track record of achieving excellent investment returns which ensures our clients can achieve their dreams e.g. retiring comfortably and maximising an investment portfolio. The team consists of highly qualified, passionate and talented individuals with deep industry experience and knowledge. We are committed to client centricity and service, and take our fiduciary responsibility to our clients seriously. We offer a full financial planning service, which entails conducting a full financial needs analysis and developing a financial plan. This includes Investment Planning, Retirement Planning, Estate Planning and Risk Planning. Gradidge-Mahura Investments (GMI) was accredited by the Financial Planning Institute of Southern Africa (FPI) as an approved Professional Practice™.